Trump administration officials continue to defend the policy as nothing more than enforcement of the law, but in the minds of Miller and other immigration hardliners in the White House, the heartlessness of the policy, as well as all the publicity that indifference gets, are exactly the point. That’s because their goal is deter other immigrants from attempting to enter the U.S. in the first place, even though the effectiveness of such tactics is often difficult to discern. Despite the fact that Trump had repeatedly demonized and dehumanized immigrants on his way to the presidency, he rejected the policy plan at first, but the true-believing Miller — who was also instrumental in pushing the administration’s Islamophobic travel ban — never gave up. Finally, sometime this spring, Miller convinced the president to endorse the idea. 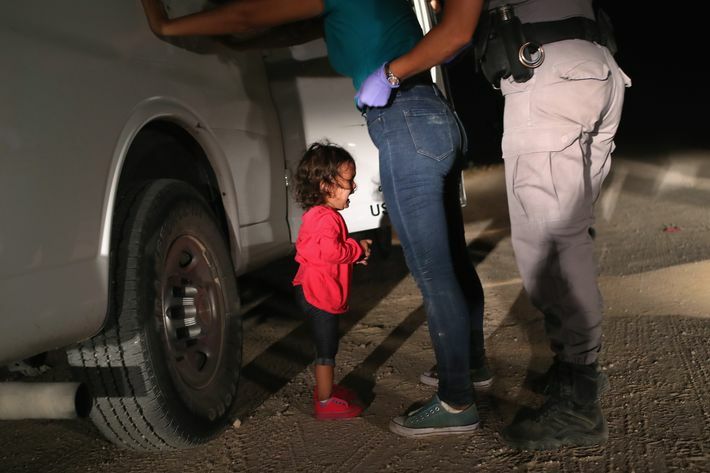 As a result, nearly 2,000 children were taken away from their parents and placed in makeshift government shelters in less than a month and a half under the new policy, and that number has undoubtedly gone up in the weeks since (and separations could soon double in some areas). Aside from the plain cruelty of separating children from their parents, health professionals are warning that the entire experience puts children’s physical and mental health at risk. In particular, the amount of stress the children encounter as a result of being taken from their parents and thrust into a strange new environment — like one where the kids are denied physical contact — could be toxic, disrupting their developing brains and leading the long term health problems. The situation is especially dangerous for children under 10, and even more so for children under 5. With these risks in mind, about 4,600 mental-health professionals and 90 organizations have called on the Trump administration to end the separation policy. The shelters are managed by the Department of Health and Human Services, but even presuming that workers at the shelters are doing the best they can to care for the children, the system is being pushed to its capacity. More than 11,400 migrant kids are currently in federal custody, including both minors who arrived at the border unaccompanied by an adult and children who have been separated from their parents. More than 2,400 of these children have arrived since the beginning of May. As a result of the rapid influx, HHS has already had to stand up at least one temporary shelter to provide more housing. A new Trump administration policy mandating the fingerprinting of family members in the U.S. who come to take custody of children living in the shelters will undoubtedly lead to more children being left in government custody — if their only relatives in America are also undocumented. As outrage intensifies over the separations, President Trump has insisted he’s powerless to change the policy, in an attempt to hide his real agenda. “I hate the children being taken away,” Trump claimed on Friday, and he has continued to repeat the lie that Democrats are the ones responsible. In fact, as reported by the Washington Post, Trump believes that continuing to enforce the policy amid the uproar provides him with political leverage over Congress and could help him force Democratic lawmakers to meet his demands on border security and restrictions on legal immigration. Put another way, the president of the United States is effectively holding thousands of migrant children hostage — and likely causing them irreparable harm in the process — in the hope it will better his chances at enacting the nativist political agenda he campaigned on. Trump and Miller are not alone in their support for the separations, either. 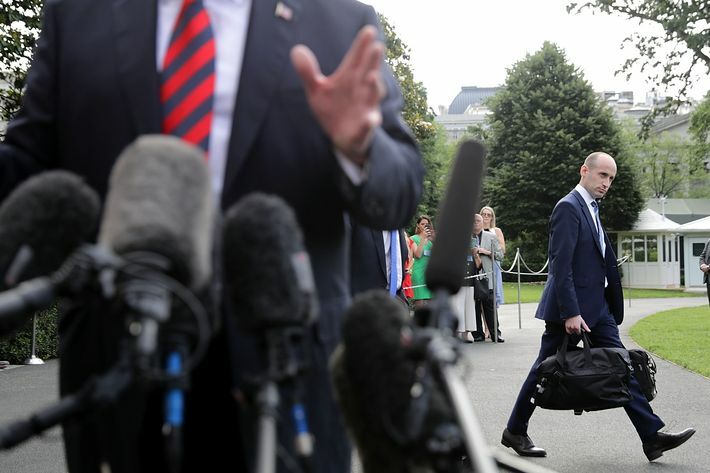 Some administration officials, like Homeland Security Secretary Kirstjen Nielsen, have reportedly opposed the border separation policy, but whatever internal opposition there has been within Trumpworld, it has only been expressed in private. White House Chief of Staff John Kelly, on the other hand, is a full-fledged supporter of the policy. Kelly infamously showed little regard for what happened to the children after they were taken from their parents during in an NPR interview in May. Attorney General Jeff Sessions, who implemented the new rule, has gone so far as to claim that the administration’s lack of compassion for immigrant families is supported by the Bible — a notion which was promptly rejected by prominent Christian leaders like like Cardinal Timothy Dolan. Outside the administration, Trump’s fellow Republicans have so far done nothing of substance to address the separations, despite rising anxiety that the issue will cost the GOP in this fall’s midterm elections. Some prominent Republicans have expressed public misgivings about the policy, but even so-called moderates like Senator Susan Collins are now apparently defending it, and no GOP senators are currently supporting a Democratic bill that would block the separations. House GOP leaders, despite their assurances otherwise, have essentially done nothing to address the separations in their proposed immigration legislation. The zero tolerance practice of immediately imprisoning, prosecuting, and deporting immigrants who illegally enter the United States has been around since 2005, but the George W. Bush and Obama administrations were morally and pragmatically opposed to separating immigrant children from their families, even if some adult immigrants were clearly taking advantage of that compassion. 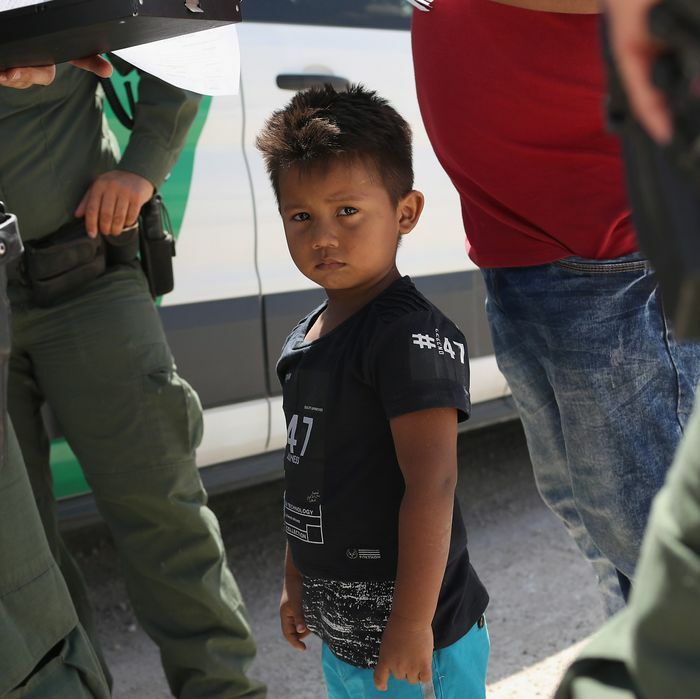 “That’s not who we are,” a team of Obama officials concluded after briefly considering the separations, according to former domestic policy adviser Cecilia Muñoz. Another Obama administration veteran, former Homeland Security Secretary Jeh C. Johnson, told the Times that efforts to deter undocumented immigrants from entering the U.S. are ineffective. “Whether it’s family detention, messaging about dangers of the journey, or messaging about separating families and zero tolerance, it’s always going to have at best a short-term reaction,” he explained. But President Trump and his policy makers, having risen to power on the back of Trump’s xenophobic campaign rhetoric, employ a darker and more morally flexible pragmatism. The Times reports that Trump officials began discussing the division of immigrant families at the border soon after taking office, and that the Department of Homeland Security even did some trial runs separating children from their parents last summer in Texas. Implementing the border separation policy has always been part of their plan, it just took a little longer than people like Stephen Miller had hoped. After all, the Trump administration has arguably enjoyed no greater success than in its efforts targeting immigrants and all forms of immigration. Zero tolerance, especially toward immigrants, isn’t just a policy proposal to this president and his allies — it is the ideology that animates the entire Trump phenomenon, and a defining characteristic of the world as they want it to be.